Christopher Knowles is a Canadian based Dancer/Choreographer who resides in Toronto, Ontario. Yearly he takes the time to travel across Canada/USA to teach, choreograph and adjudicate for many studios and companies. Born in Miramichi, New Brunswick, Christopher started dancing at a very young age. Growing up, he was also a student teacher for many years and choreographed his own works, performing them across the east coast as well as abroad. In 2008, Chris was chosen to attend a Dance Tour in London, England training with some of the world’s best choreographers as well as classes with the cast of WICKED the musical. Chris is an Alumni student from George Brown Dance College where he furthered his technical training. While at George Brown he received high achievements in choreography. After graduating he then moved back to Nova Scotia and became the artistic director of Precision Dance Company. While under the direction of PDC Christopher was frequently awarded for his choreographic works while his students excelled. During these years he also co-created a Canadian East Coast event called “The Entity Tour” that has inspired and trained students every summer since 2014. Recently Christopher has had the opportunity to choreograph for George Brown College students and had his work performed at their graduation show “Unleashed” as well as their summer commercial dance program performance. George Brown has also used his work for advertisements for their post-secondary program. He was also honored to create work at Toronto’s Choreographers Ball, Fever After Dark as well as Dance Weekend for Dance Ontario, all events showcasing Toronto’s professional working talent in the industry. While Christopher works towards the launch of his contemporary based dance Company he has had the opportunity to teach at multiple professional level training venues such as Metro Movement, Rightfoot Dance Studio and The Underground. Now, Christopher is working full time at City Dance Corps & most recently Millennium Dance Complex in downtown Toronto where he teaches and choreographs weekly. Creating stories through movement and watching it come to life is his calling. He brings passion, technique and energy to everything he does. The biggest lesson he loves to leave with students while teaching is just to dance from your heart, be yourself, have fun and never let go. Dance is his life and he is now ready to share his knowledge with the world of those who share the same love! Originally from Saskatchewan, Kimberley has spent the last eight years in Vancouver and Toronto pursuing a career as an artist. While in Vancouver she trained with Harbour Dance Centre’s ITP and completed two seasons performing and touring with the prestigious Source Dance Company under the direction of Joanne Pesusich. Kimberley performed at many live events including Vancouver's Gay Pride Festival with artist Sarah K, Improv Vancouver, Urban Alchemy, Vancouver International Salsa Festival and the World Ski and Snowboard Festival in Whistler, BC. After 5 years of training, teaching and working professionally in Vancouver, and a summer training in Quebec with RubberbanDance Group, Kimberley relocated to Toronto where she continues to push herself in her craft. She has worked on projects with Creativiva including Ricarda’s Grand Opening, SickKids Gala and their live production of Illuminite at Yonge-Dundas Square. She also travelled with the company to Bahrain in the Middle East with their production of Cinderella. Most recently, Kimberly worked on Season 2 of the CBC mystery-drama series Frankie Drake Mysteries and performed at the 6th AAnnual HUM Awards with BNF Entertainment Dubai. She just completed a second season of Wondersee Entertainment’s “The Great Big Boo” tour and has been rehearsing and performing multiple shows with TDC Entertainment throughout Ontario. Kimberley is also a member of Knowledge Dance Company, a new contemporary dance company based out of Toronto, where she is rehearsing for upcoming works. Having extensive teaching experience and choreographing for all ages all around Canada, Kimberley is continually inspired by new people and experiences. She cannot wait to share her love and passion for dance with the kids this competition season. Yvette Rowledge graduated with distinction from the University of Victoria School of Music and holds diplomas from the Royal Conservatory of Music (ARCT, Performance), the Victoria Conservatory of Music (AVCM, Performance and Pedagogy), and Camosun College (Associate of Arts Diploma in music). She is a former faculty member of the Langley Community Music School, the Victoria Conservatory and the Douglas College Community Music School. Her tutors have included Dr. Robin Wood, Winifred Scott Wood, Dr. Gordana Lazarevich and Bruce Vogt. Yvette is an active adjudicator at many music Festivals throughout Canada and is a member of the Canadian Music Festival Adjudicators’ Association. She has taught all levels of music for over 40 years and is a member of the BC Registered Music Teachers’ Association. She is an examiner of senior piano levels for The London College of Music and Media (England). Yvette enjoys both leading and participating in Master Classes. She has a thriving studio at her home in Newton, Surrey. A native of Dayton, Ohio, Mr Plotnick recently retired after completing his thirtieth season as Principal Second Violin with the Calgary Philharmonic Orchestra. After graduating from the University of Cincinnati’s College-Conservatory of Music, Mr. Plotnick performed with orchestras in Cincinnati, Ohio; Louisville, Kentucky; and Caracas, Venezuela before assuming his position in Calgary. In addition to performing with the Calgary Philharmonic, he has also served as concertmaster of the Calgary Bach Society and the Calgary Festival Chorus Orchestras. 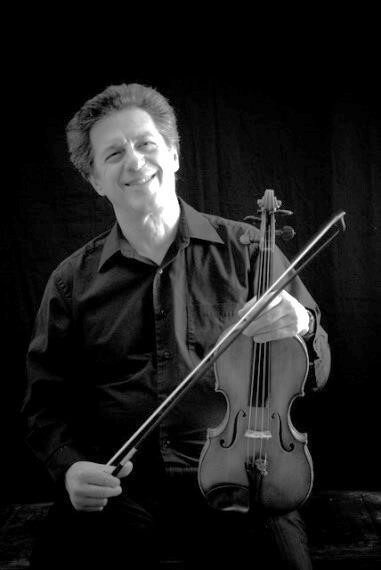 Mr. Plotnick often appeared as violin soloist with the Calgary Philharmonic as well as the Calgary Bach Society, and has been heard in frequent performances as a solo and chamber recitalist. In October 1998 Mr Plotnick participated in a cultural mission to Kazakhstan, which included solo performances for its President. Mr. Plotnick has been a member of the faculties of the University of Calgary, Mt. Royal College, and the Amici String program in Calgary, and was the founding director and conductor of Mt. Royal’s Intermediate String Orchestra. In addition he been a faculty member of the Banff International Youth Orchestra Festival, the Valhalla, Nelson, Strings and Keys and Los Angeles Suzuki summer music festivals, and has appeared as guest artist and clinician at Lehigh University in Bethlehem, Pennsylvania. Currently he is in demand as an adjudicator at numerous music festivals. After beginning his musical education in Lethbridge, Alberta, Nick Sullivan received a fellowship to undertake graduate studies at the University of Victoria. Unable to escape the lure of the Canadian West Coast, Nick returned to B.C. in 2013 to continue his studies at the University of British Columbia, pursuing a Doctor of Musical Arts degree. Currently, Nick is on faculty at the University of Lethbridge teaching the low brass studio, as well as courses in Musicianship Skills, and the History of Rock ‘n Roll. Nick has a passion for brass chamber music, and has performed in numerous chamber music settings. In 2007, his quintet was featured in the Canadian premiere performance of Eric Ewazen’s Shadowcatcher, a concerto for brass quintet and wind orchestra. He is a founding member of Aeris Brass (formerly the U of L Faculty Brass Quintet), as well as the Southern Alberta Trombone Collective (SATbC). As a soloist, Nick enjoys searching for and commissioning new music for bass trombone, and has a keen interest in vocal works transcribed for low brass. Nick regularly performs as a recitalist throughout Western Canada, and has been featured as a soloist with the Lethbridge Symphony Orchestra, Lethbridge Community Gold Band, and the University of Lethbridge Wind Orchestra. Active as an orchestral musician, Nick has worked with several orchestras across Canada, such as the Vancouver Symphony Orchestra and the Calgary Philharmonic Orchestra, and presently performs with the Lethbridge Symphony Orchestra. Away from his trombone, Nick is an avid runner and can also be found working away in his garden or tending to his collection of Bonsai trees. Years of counting rests in the trombone section have given him a reserve of patience required to care for his miniature trees! Nick Sullivan is a performing artist for Michael Rath Trombones. 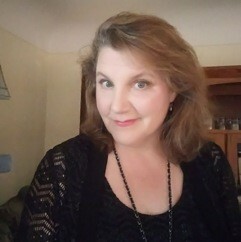 Cheryl McHugh holds a Bachelor of Music degree from the University of Western Ontario and a Master of Music degree from the University of British Columbia in Flute Performance. While there, she was active in the freelance music scene and had a large private teaching studio that encompassed communities throughout the region. Cheryl was also the national flute instructor at the Canadian Forces School of Music for ten years in Borden, Ontario. In 1996, she relocated to Vancouver where she stepped into the role of principal flute and piccolo in the Band of the Fifteenth Field Regiment, RCA. 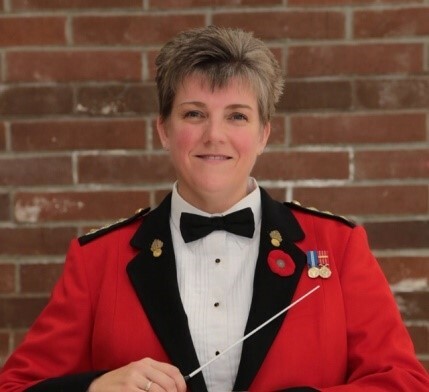 In November of 2017, she became the Bandmaster and in October of 2018 was commissioned to Captain and became the Director of Music. Cheryl has a large private teaching studio and is a sought after clinician and adjudicator, having presented workshops and master classes in schools and festivals. Cheryl also holds an independent school teacher certificate and teaches at several private schools in Metro Vancouver. Cheryl has studied flute with Douglas Stewart of the Canadian Opera Orchestra, Camille Churchfield of the Vancouver Symphony Orchestra and Lorna McGhee of the Academy of St. Martin in the Fields. In 2005, Cheryl was selected to be the only Canadian participant in the William Bennett International Flute Symposium in London, England. While there, she worked with Mr. Bennett and performed for symposium members from all over the world. Mark D'Angelo a native of North Vancouver holds a Master of Music Degree from the University of McGill in Montreal, Q.C. Mark is currently Principal Trumpet in the Kamloops Symphony, and Second Trumpet with the Vancouver Island Symphony. He has also performed with the Vancouver Symphony Orchestra, Vancouver New Music, Victoria Symphony, CBC Radio Orchestra, Thunder Bay Symphony, and the American Brass Quintet as an Aspen Music Festival Fellowship recipient. Mark has performed with Ben Hepner, Tony Award winner Idena Menzel, Ashley MacIsaac, and can be heard on Hedley’s Double Platinum Juno nominated album “The Show Must Go” Universal, 2009. In 2012 Mark was awarded a Canada Council for the Arts Specialized Travel Grant to study Trumpet in Valencia, Spain. More recently he attended the Banff Centre for the Arts at the Allstar Brass Residency with Jens Lindemann. Mark has also trained extensively in World Music, and has performed at the 2010 Winter Olympics with Mariachi Los Dorados, and at the International Mariachi Festival in Guadalajara four times. In 2017 Mark performed the British Columbia premiere of John Estacios Concerto for Trumpet with the Kamloops Symphony. Mark has recorded with "Rita Chiarelli" and the Thunder Bay Symphony, The Whiskeydicks, Mariachi Los Dorados, Corbin Murdoch and the Nautical Miles, Shelley Obrien, and the National Youth Orchestra of Canada to name a few. 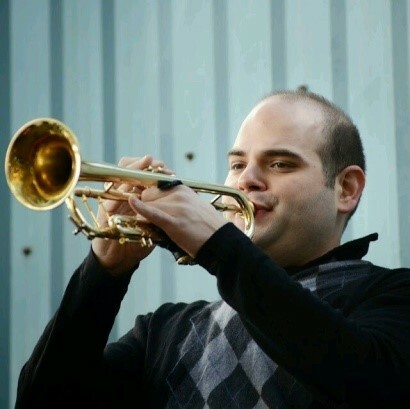 Mark currently holds the position of trumpet instructor at Capilano University, and is a Stomvi Performing Artist. On Faculty at the Victoria Conservatory of Music since 1998, Marnie has also taught at Pearson College, the Victoria School of Ideal Education and she has been on faculty at the Canadian College of Performing Arts (Musical Theatre). She has adjudicated for the VCM Lieder Competition and has taught Children’s Voice for the VCM Diploma Program. 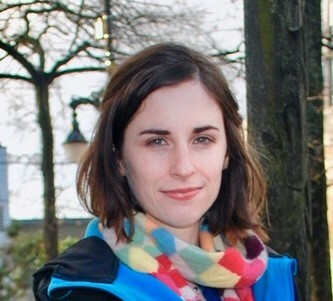 Her major teachers have been Catherine Young (VCM) and French Tickner (UBC). As a performer, she enjoys premiering new compositions, especially those of the Victoria Composers Collective. Marnie has sung professionally as a recitalist in Winnipeg (Women of Note), Europe, the U.S, Vancouver (Cantata Singers), Kelowna (Philharmonic Orchestra), and Victoria (Bel Canto/Viva). A believer in professional development, Marnie has sung in Master Classes for Richard Miller, Edith Wiens, and Cornelia Prestl. She is an active member of the National Association of Teachers of Singing, a BC Registered Music Teacher, and she has recently begun serving as the Mid-Island representative for the BC Choral Federation. Ms. Setka-Mooney has been awarded the Certification Level I qualification from Princeton’s Music Together Center for Music and Young Children for outstanding achievement in teaching and articulating of the Music Together Program. Her interest in both the singing and speaking voice has led Marnie to conduct workshops for non-singers, i.e. business people and teachers. A Choral Conductor for over a decade, Marnie’s current conducting role is with Sing Victoria Children and Teens’ Choir. Past Conducting duties have been with VIVA children’s choir, St. Mary’s Children’s Choir (Oak Bay), Crystal Singers Women’s Choir, Victoria Male Voice Choir, and the Foundation Choir (VCM). Marnie’s students have consistently won awards in the Greater Victoria Performing Arts Festival, and several have moved on to post-secondary institutions in Waterloo, Los Angeles, and Victoria. DMUS & DESS (l’Université de Montréal), MMUS (New England Conservatory), BMUS (University of British Columbia). Vancouver born soprano, Gina Oh was honored as one of the most influential Korean Women of The World of 2008. Representing Canada, she stands out as a cultural ambassador through music and song. Gina now sits on the board for the Pacific Rim Initiative with Vancouver Opera co-producing a sell-out concert series showcasing and diversifying talent from the multi-cultures in Canada. She has been recognized for her good work by the Korean Consulate in Canada, Elite Canadian Politicians, the Canadian National Press and the Vancouver Music Communities. Dr. Oh was a member of the Vancouver Opera OIS Touring Ensemble where she débuted the world premiere of the role Obasan in the newly commissioned opera based on Joy Kogawa’s book, Naomi’s Road. Performing the role 170 times, she received the Joe Boxer Memorial Award with a career development scholarship as most promising artist of the year. Gina completed her doctoral studies at l’Université de Montréal where she succeeded her studies in French and was recognized there with the Cedric Ferguson Award. She holds a Master’s degree from the New England Conservatory in Boston where she engaged a Jordan Hall début with the NEC Orchestra and she also possesses a Bachelor’s degree from her hometown at the University Of British Columbia, Canada. Alongside her studies, Gina has been recognized as a finalist for the CMC and NATS competitions. Operatic performances include Marcellina in Le Nozze di Figaro, Helena from Britten’s A Midsummer Night’s Dream, Mère Marie from Poulenc’s Dialogues des Carmelites and Dorothée from Massenet’s Cendrillon. Other principal roles include Mrs. Nolan from Menotti’s Medium, Mathurine from Gluck’s L’Ivrogne Corrigé and Arminda from Mozart’s La Finta Giardiniera. Gina was a finalist for the Vancouver Star Search produced by the Mount Saint Joseph Foundation, performing in the Pacific National Exposition, broadcast by the Rogers Network. As well, Gina was a quarter-finalist on Bravo’s reality TV show called Bathroom Divas produced by Kaleidoscope. Her personal story has been televised and released on BCTV, TVKOREA and the Multicultural Network. 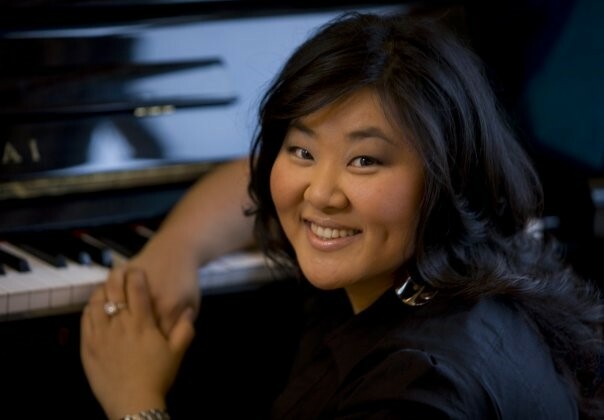 Dr. Gina Oh is ranked top voice teacher in the tri-cities area (Vancouver Lower Mainland) 5 years in a row and was celebrated as part of the Canada Korea 150 on Parliament Hill in Ottawa last October. Gina shares her valuable time pursuing a high level of music outreach by way of teaching and performing. Christine Bissonnette is an acadian writer, voice and performance teacher, and children’s entertainer originally from Nova Scotia. She received her bachelor’s degree in theatre and creative writing from the University of New Brunswick, graduating with distinction and on the Dean’s List, and has since trained extensively in voice (Linklater), breath (Middendorf), and performance with some of Canada’s most innovative teachers in the industry. She is passionate performer and has shared her narrative pieces on stages all across Vancouver, including as the featured poet at the Vancouver Poetry Slam at the beginning of 2018. Currently as a Voice Teacher at Viva Voce Studio in Vancouver, she is interested in belonging and how sound and movement can build community. With 8 years of coaching experience, Rylan has trained professionals and students alike on effective public speaking. With experience ranging from preparing clients for presentations to Fortune 500 companies, to weekly sessions with students too nervous to give a speech in front of their class, Rylan has helped people from all areas of life gain the confidence necessary to become effective and convincing public speakers. 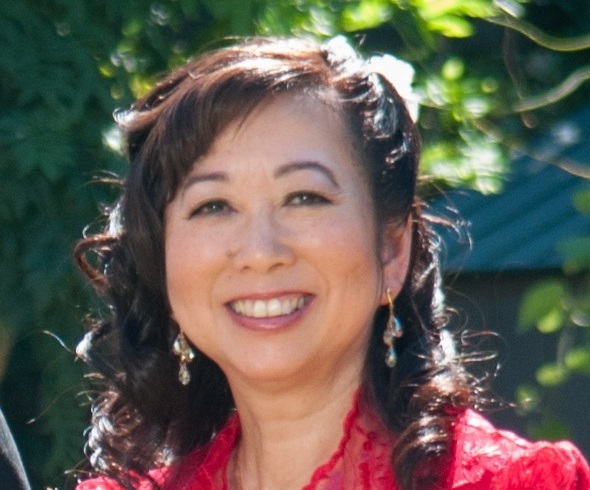 Pam Hetrick has taught music for over 30 years, most recently K - 7 at Suncrest School in Burnaby, BC. Pam presents at workshops and National Conferences in both the U.S. and Canada. She was Co-President of the BC Orff Chapter, served on the American Orff Schulwerk Association Editorial Board for nine years, and is the Orff Levels Course Director at Vancouver Community College, teaching Level I. In 2014 she received the BCMEA Music Educator Award of the year. Performance experience includes steel drum ensembles, Keith Terry Body Music Ensemble, and Balinese Gamelan including a Keetman Grant to study tingklik music in Bali. She is a member of Adanu Habobo , an African drumming/dance ensemble. Pam is currently Second Vice President of Carl Orff Canada.